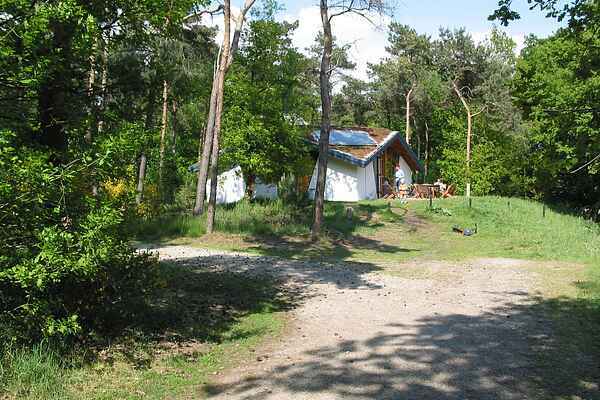 Herperduin holiday park has the right accommodation for nearly any group. The picturesque thatched bungalow, which has a whirlpool, includes a sleeping alcove and is suitable for 2 people (NL-5373-09) or 4 people (NL-5373-11). The standard 4-person type (NL-5373-06) boasts a simple but neat design. For 6 people, there is a 3-bedroom bungalow (NL-5373-07). The eco-friendly forest villas were designed exclusively for the park and were built with sustainable materials and a unique in-wall heating system that provides optimal comfort and indoor climate quality, as well as very low energy use. This type is available for 6 people (NL-5373-05) and 8 people (NL-5373-08). All accommodations in this well-forested holiday park offer a great deal of privacy, as well as your own garden/terrace with garden furniture.